Finnlab is a clean, modern & multi-concept creative agency Joomla Template. This template is suitable for any kind of creative agency like Financial business,Creative Business, Small Business, Consulting, Insurance Website, loan, Tax help, Investment Firm, Corporate etc. to show their services, projects/portfolios and other information to their customers. 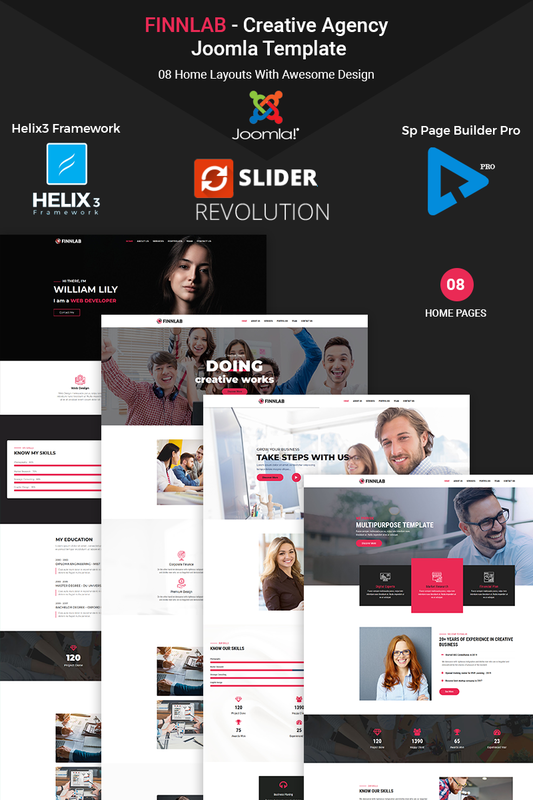 Also it comes with popular Joomla drag & drop SP page builder Pro that's why no coding skill required. It has also prebuild 9 presets color with unlimited color options. By using this template anybody can build his own website "No coding skill required". Anyone can change site colors / other settings from template settings. If any issue arise during installation - our reliable support team always ready to give support. It's 100% responsive that's why it will work nicely on all smart devices(smart phones, tablet, PCs and desktops).